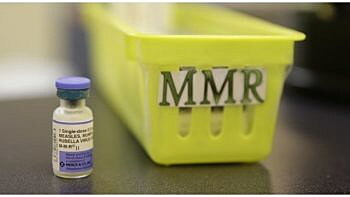 (KPAX) It could be just a matter of time before the public health emergency over measles in Washington state affects Montana. Doctors here are monitoring the outbreak and want us all to be informed and ready. Data shows Montana hasn’t had a case of confirmed measles since 1990 — and it was declared eliminated in the United States in 2000. But with the health emergency just a car ride away in Washington, doctors anticipate someone in Montana will get sick before the outbreak is over. “If your child has received all the scheduled immunizations including the 12-to-15 month MMR vaccine and the vaccine between 4 and 6 years of age — for pre-kindergarten — those would confirm complete protection against measles,” Dr. Wilson explained. “Only about 3 percent of the time do those vaccines fail. If you don’t have records, you can always call your doctor’s office to get them or you can get a re-vaccination if you’re not able to confirm you’ve been vaccinated,” she added. Measles is a serious respiratory disease caused by a virus that starts with a fever and then mimmicks the common cold … until the rash emerges. It also comes with complications, including pneumonia and encephalitis. Often someone is sick and spreading the virus before they even know they have it. That’s why it’s important to do the right thing if you suspect you’ve been infected. “If your child has received all the scheduled immunizations including the 12-to-15 month MMR vaccine and the vaccine between 4 and 6 years of age — for pre-kindergarten,” Missoula Dr. Lauren Wilson explained. “If you think you or someone in your family has measles, you should call your doctor’s office and check in before leaving your home, try to stay away from public places,” Dr. Wilson said. “Call your doctor, they can review your symptoms with you and then make arrangements to come in in a safe way so you don’t infect other people if you need to be seen in person,” she added. The important thing is that you and your family are protected against a preventable disease and consult your doctor if you’re unsure. “Right now there are 37 confirmed cases and a number of suspected cases in Washington state and it’s likely the tip of the iceberg because these people have transmitted to others so we expect to see more cases,” Dr. Wilson said. Before the measles vaccination program started in 1963, more than three million people got measles each year in the United States — of those, more than 400 died.